Mary, Mother of the Light Academy or MMOLA, is an extended-day preschool serving children ages 2 ½ through 5 in Jupiter and Tequesta, Florida and the surrounding areas. Welcome to Mary, Mother of the Light Academy! Mary, Mother of the Light Academy or MMOLA, is an extended-day preschool serving children ages 2 ½ through 5 in Tequesta and Jupiter, Florida and the surrounding areas. MMOLA is a licensed childcare facility monitored by the Palm Beach Department of Health and the Department of Children and Families. Our purpose is to provide a safe, educational and happy environment for your child. Our preschool, located in Tequesta, Florida, is open to all children who may benefit from our type of program, and you are welcome to visit our facilities at any time! Enrolling now! We have VPK openings in our afternoon VPK class from 12:30-3:30pm. Call us at 561-203-2424 for details and schedule a tour! 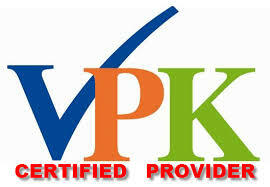 Reserve your child's spot for VPK NOW! Call 561-203-2424 or email us at info@mmolacademy.org. Thank you! We will be in touch shortly to schedule a tour.